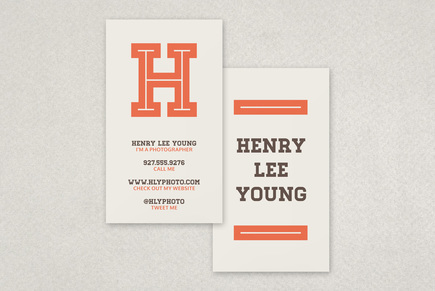 A retro inspired design that is perfect for an individual developing a business from their service offerings. 25% Off Sale Running Today! Enter the details you would like to appear on your card, and special instructions regarding the front, back, colors, etc. in the optional fields below. We will edit your design by hand and send you a proof for approval before printing. Email care@inkd.com if you have any questions. City, State, Country, Zip, etc. Other (Fax, Facebook, Twitter, Other social media) Optional: Any special instructions or notes to your designer?